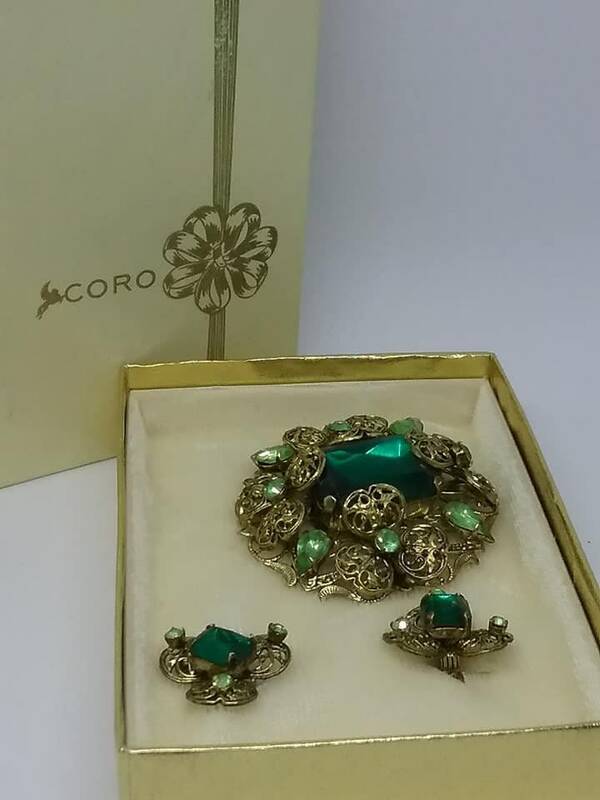 Vintage Coro signed brooch and earrings set in original box. 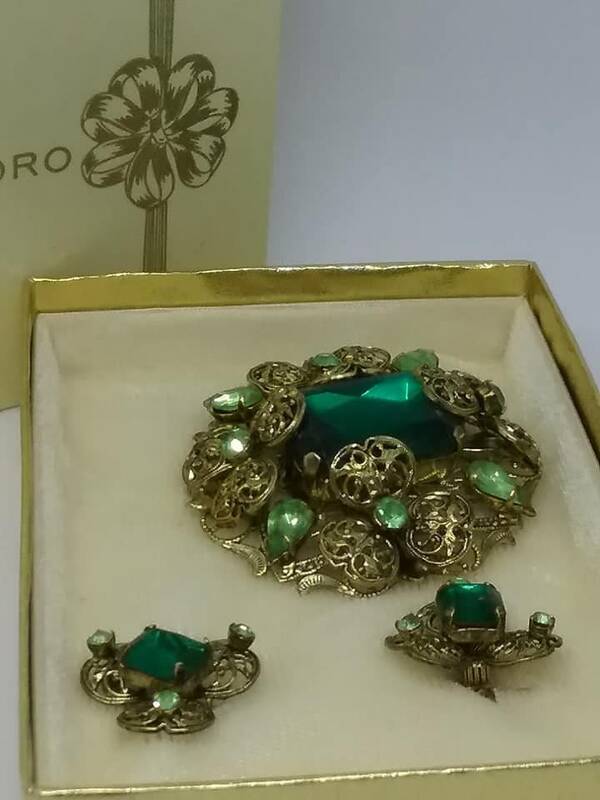 It is new, old stock.....excellent vintage condition...adored but never worn. 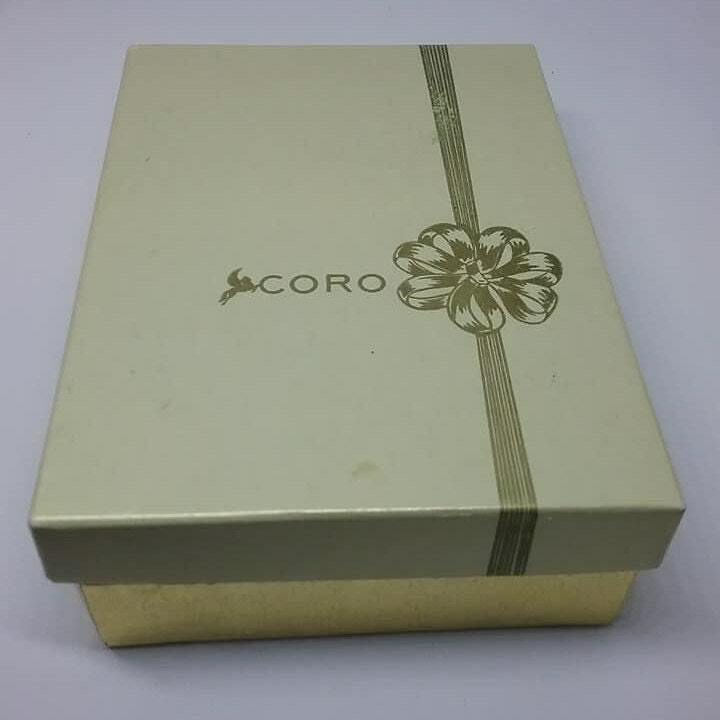 Coro was very much in demand from 1940's to the late 60'd. 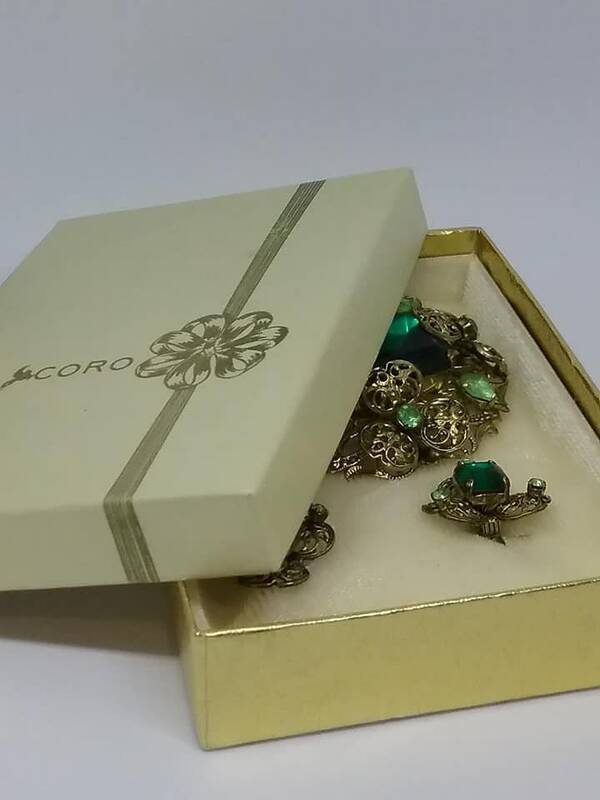 It was considered one of the biggest selling company of costume jewelry in the UK and US at this time. 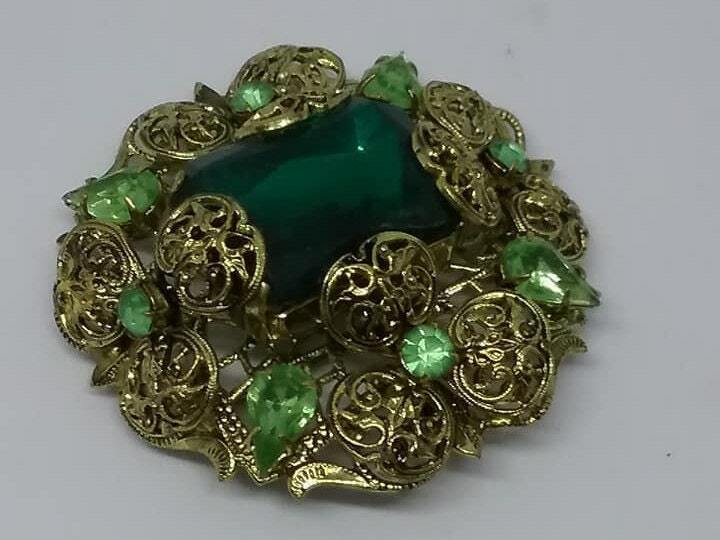 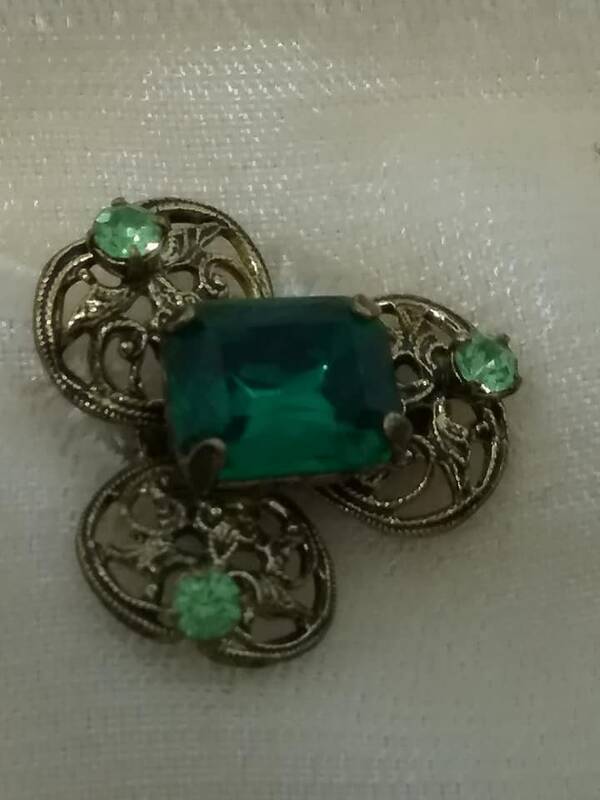 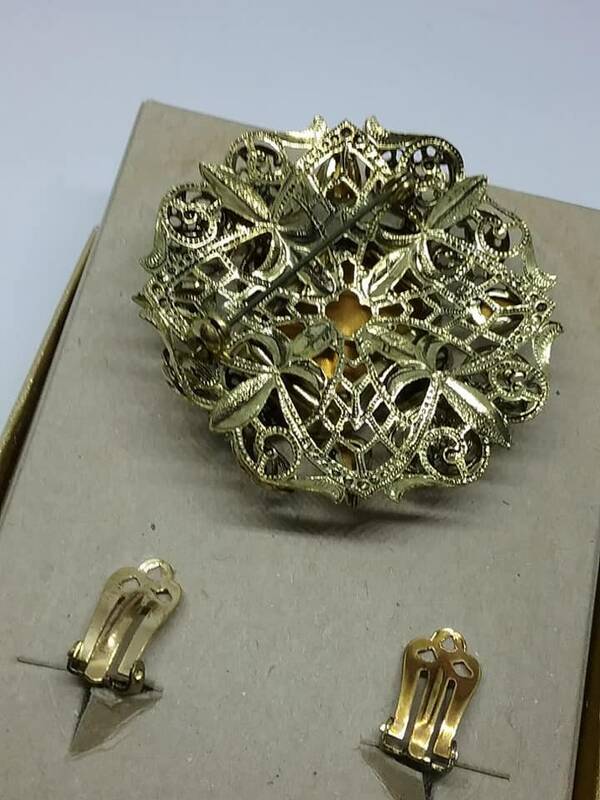 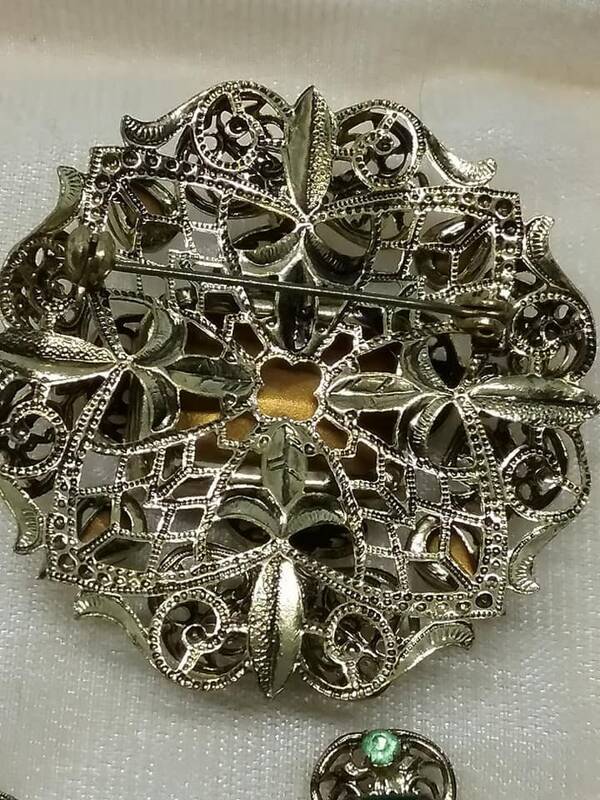 This fabulous brooch and the matching clip-ons in stunning greens, have shining pronged rhinestones. 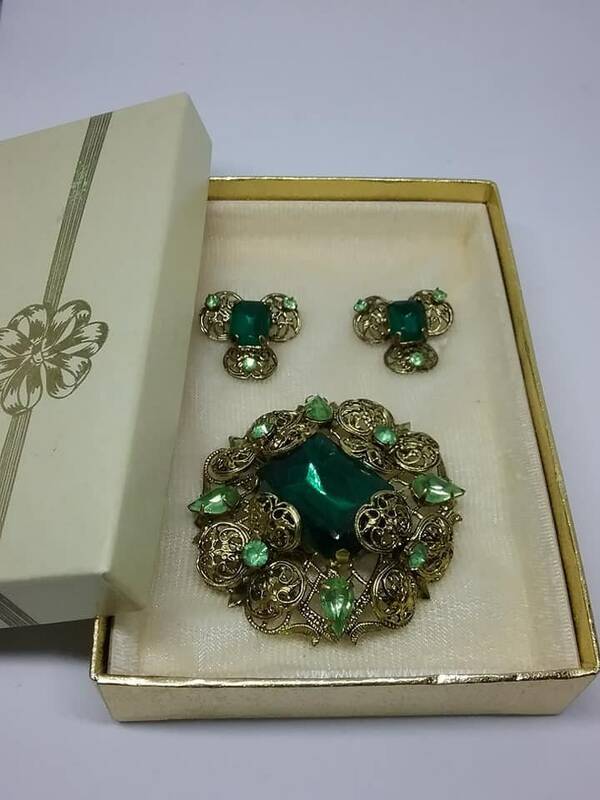 From emerald to a light misty green, this set will be the attention grabber of your favorite accessories!